When Mel Gibson got stopped the other day in Malibu for driving under the influence, he went through a rant against the police, the arresting officer and Jewish people. Since the rant is full of expletives and profanity, I chose not to link to it, but suffice it to say, it was pretty rough. Among other things Gibson blamed the Jews for all the wars in the world. To his credit, Mel Gibson offered an apology to the Jewish Community and asked them to help him in his process of rehabilitation as he tries to figure out what is going on inside of him. I'll give him points for that one. Admitting you're wrong and asking for forgiveness (no less publicly) is hard for most people. Was his apology sincere? Should it be accepted? Was it simply written by a publicist? Only Mel knows the answers to these questions, but somebody just send me this on apologies from Gary Chapman. Mel's apology seems to touch each of these areas. Hollywood is threatening to end it for Mel. The apology seems (to me) sincere enough to help him move forward. 3. I find an apology most sincere when the person who has wronged me takes action to make it right. 5. I find an apology most sincere when the other party places great importance on asking for my forgiveness. Unfortunately for Gibson, this wasn't the first time that accusations of "anti-semitism" came up in his career. Or his first DUI incident. Hutton Gibson, Mel's father, who is also a member of the breakaway Roman Catholic sect that Mel Gibson is part of, speaking of the Holocaust said in a radio interview on WSNR, one week before the release of the Passion, "It's all -- maybe not all fiction -- but most of it is," he said, adding that the gas chambers and crematoria at camps like Auschwitz would not have been capable of exterminating so many people. "Do you know what it takes to get rid of a dead body? To cremate it?" he said. "It takes a litre of petrol and 20 minutes. Now, six million of them? They (the Germans) did not have the gas to do it. That's why they lost the war." This wasn't the first time his dad made similar remarks, so although this might be only one interview, there are others that are close to the same in content. Just because Mel's father has an anti-semitic strain, it does not stand to reason that his son follows the same belief structure. A short time after his dad's remarks Diane Sawyer asked Mel Gibson about them and he said talking about his dad was off limits. I respect that about a son, but it didn't help to clear up the confusion. When he was asked by Peggy Noonan in Reader's Digest if he believed the Holocaust happens, he agreed it did, but gave some qualifiers. Gibson does draw a hard line. His breakaway sect of Roman Catholicism is quite strict and what some consider at least a little narrow. It is narrow enough for Gibson to consider that his wife cannot be saved if she is not a member of it. But thre is no indication that the group is anti-semitic. The fear that Gibson's film "The Passion of the Christ" would once again inflame anti-semitism as a blacklash was not necessarily unfounded. The church has a long history (some of which is listed here) of anti-semiticism. The fear was that the movie was pointing to the Jews as the ones that killed Jesus. Did the Jews kill Jesus? No. Was it the Romans then? No. It was God that sent His Son to die for our sins. John 3:16 "For God so loved the world that he gave his one and only Son, that whoever believes in him shall not perish but have eternal life." It was all of us that killed Jesus. He died for our sins on the cross. Everyone that has ever walked the earth is guilty. Except Jesus. He was God in the flesh, who came to give us eternal life. To learn how to receive eternal life through Jesus, click here. When the Bible says God so loved the 'world' it means all people. All nations, all people, all ethnic groups. The pithy little saying is true, "Jesus loves me this I know for the Bible tells me so!" Let's pray for Mel Gibson. Everybody has some strain of weirdness, weakness or prejudice they've picked up over the years. But thankfully, people have an uncanny ability to change, especially when seeking God's help. People also have long memories. Mel is asking for a another chance. I think we should give it to him. Is that the Iranian president in a 1979 AP Photo taking an American hostage from the United States Embassy in Tehran? Some say it is, others say no. Whether that is actually him or not there is no doubt that he was involved in the uprising against the Shah. He was definitely committed and involved in the philosophy that brought in the Islamic Revolution of 1979. Today Iran is flexing it's muscle and making waves on the world scene. They are an ancient kingdom that believes that they will once again rise. Iran is in the Bible, but known as Persia or the Medo-Persian kingdom in Bible times. The Medes were a world governing Empire from 536 B.C. - 330 B.C. 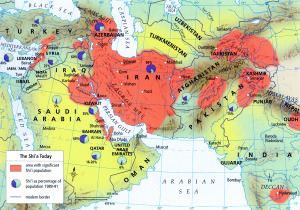 Their rule extended through the Middle East - including the land of Israel - into Afghanistan and into Turkey. For a map of the territory Persia (Iran) once controlled click here. For the last two thousand years Iran (Persia) has stayed out of the eye of most o f the western world, with occasional forays into the world scene. But they are back and they plan to stay. There is a day coming soon when Iran (Persia) will align with other nations, including Libya and several nations to the north to invade Israel. Some say Russia is included in this equation to invade the land. You can read the prophecy in the Old Testament book of Ezekiel Chapter 38. While some controversy exists as to the identity of all of the nations listed in Ezekiel 38 (nations and locations change names through history and following the chain of change can be difficult) but there is no doubt that modern day Iran will one day - some think very soon - invade Israel. When this invasion happens it will be in the middle of a chain of prophetic events that are related to the soon return of Jesus Christ. Keep your eyes to the sky and if you are not prepared to meet Jesus, now is the time to do that. Click here to find out how to be saved. Birth Pangs: A Sign of the Beginning or the End? Condalezza Rice in at a press conference on July 21 said the Middle East Conflict is the beginning of "birth pangs of a new Middle East." That's an odd expression to use in the context. It's not a common phrase, but it is one that Jesus used. When his disciples came to him on the Mount of Olives outside the city of Jerusalem to clarify some statements Jesus made about the Jewish Temple there being destroyed, he used the phrase. Speaking of the destruction of Jerusalem, and continuing His explanation going all the way out to Judgment Day, Jesus said, in the Gospel of Matthew 24:6-8 "You will hear of wars and rumors of wars, but see to it that you are not alarmed. Such things must happen, but the end is still to come. Nation will rise against nation, and kingdom against kingdom. There will be famines and earthquakes in various places. All these are the beginning of birth pains." No need to make more out of it than what she said. It's just a strange phrase to use about the Middle East. It is in this part of the world the prophecies of the Bible preceding Christ's return pertain to. That Indonesia had an earthquake a few days later might not mean anything either. But anybody that is wise should have their nose in the Bible, particularly those chapters that concern "end time prophecies." I'm fond of saying, "Keep your feet on the ground, your eyes to the sky and your heart with people!" It's definitely closer than it's ever been before!